Multi-layer composite moisturizing enables the skin to be moist, tender and smooth. Skin is as vulnerable and delicate as ceramics and needs special care. Adverse environment, excessive ultraviolet ray and even mental pressure can change skin status. As we grow old, the water in our body would lose gradually, which can lead to skin dryness, sagging, fine wrinkle, visible pores, serious skin oil and difficulty for nutrient absorption. 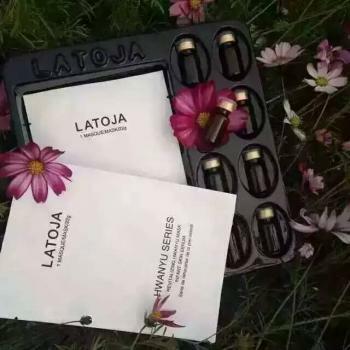 LATOJA Infant Skin Serum adopts totally new composite herbal extract; in addition to containing more sodium hyaluronate moisturizing ingredients, there are also additions of composite herbal moisturizing ingredients like malva sylvestris, mentha piperita and alchemilla vulgaris. It can reach as deep as skin base by taking advantage of liposome technology to realize intensive and permanent moisturizing and restore skin to be as smooth as infant skin. In order to achieve optimum efficacy, active matters must reach positions that can enable them to play their roles. 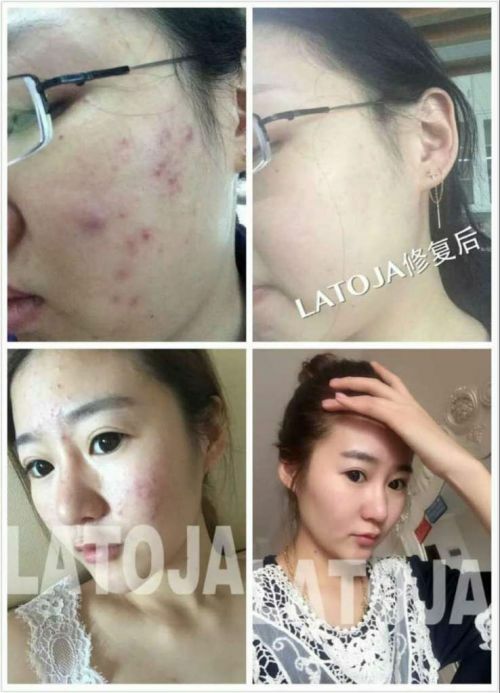 LATOJA adopts liposome technology to enhance the infiltration of active matters, so that active matters can be effectively absorbed by the skin, realize deep layer moisturizing and enable the skin to be more intensive and fresh. ALPAFLOR GICAWHITE —A kind of new natural herbal active ingredient extracted from Wallis, Switzerland, the center of the Alps and combined with 7 extracts that are with cell culture activity: Malva Sylvestris, Mentha Piperita, Primula Veris, Alchemilla Vulgaris, Veronica Officinalis, Melissa Officinalis and Achillea Millefolium. 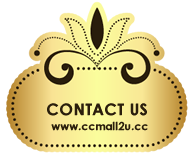 Water, glycerin, butylene glycol, malva sylvestris extract, mentha piperita extract, primula veris extract, alchemilla vulgaris extract, veronica officinalis extract, melissa officinalis leaf extract, achillea millefolium extract, opuntia ficus-indica stem extract, portulaca oleracea extract, yeast ferment extract, caprylyl glycol, cyclohexanecarboxylic acid, sclerotiurn rolfssii adhesive, sodium hyaluronate and licorice flavonoids. 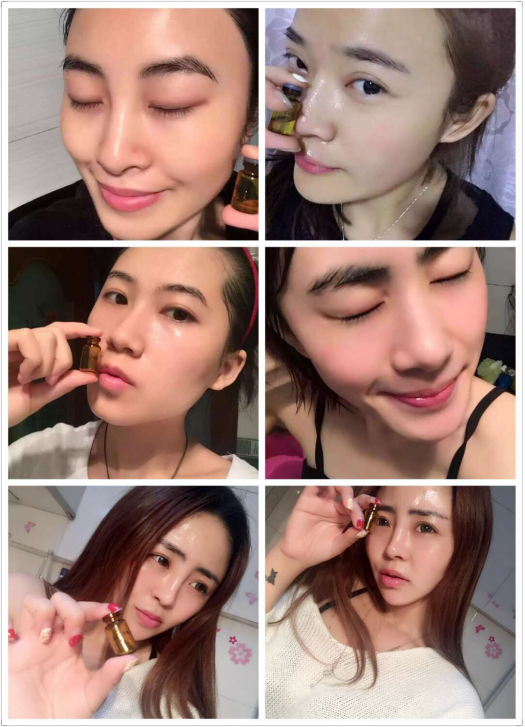 Adopting totally new composite herbal extract, with drips of jelly coagulated onto finger tip, this product is customized for darkened skin. By nourishing each inch of dry skin and accepting multiple skin lightening essences, this product can disperse dryness, fatigue and darkness and enable skin to be moist, exquisite, fresh and lightened to enjoy pure texture and fresh complexion. 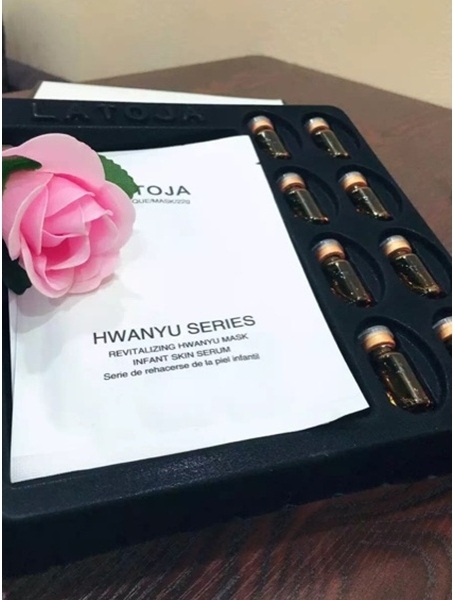 LATOJA Revitalizing Hwanyu Mask, rich in the wonderful moisturizing ingredient - sodium hyaluronate (hyaluronic acid), effectively integrates totally new herbal essence and has the additions of composite herbal moisturizing ingredients like malva sylvestris, mentha piperita and alchemilla vulgaris. By multi-layer moisturizing and nourishing, this product can reconstruct skin living water system. 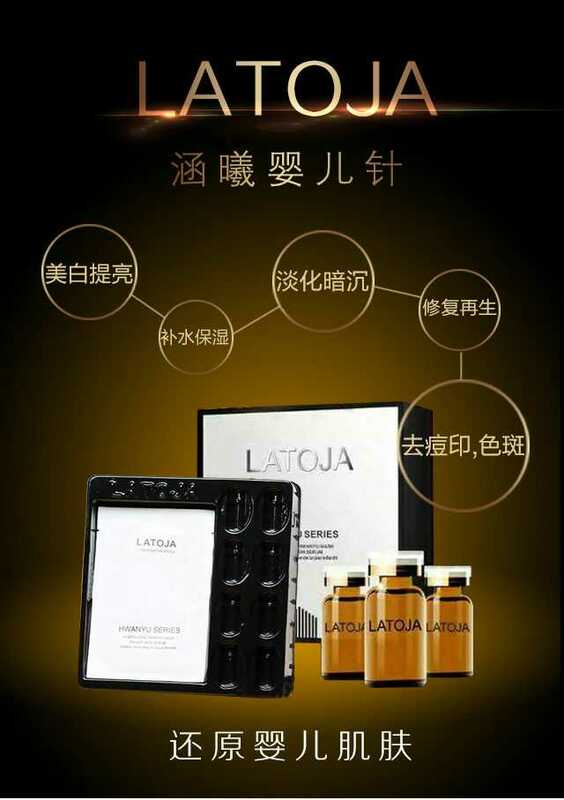 Only one mask can realize water supplement, storage and locking, so that it can give thorough water supplement and care to the skin, allowing your skin to be tender, young and smooth like that of an infant. Water, rosa rugosa water, glycerin, butylene glycol seed extract, malva sylvestris extract, menthe piperita leaf extract, primula veris extract, alchemilla vulgaris extract, veronica officinalis extract, melissa officinalis leaf extract, achillea millefolium extract, opuntia ficus-indica stem extract, portulaca oleracea extract, yeast ferment extract, caprylyl glycol, cyclohexanecarboxylic acid, dipotassium glycyrrhizate, sclerotium rolfssii adhesive, sodium hyaluronate and licorice flavonoids. 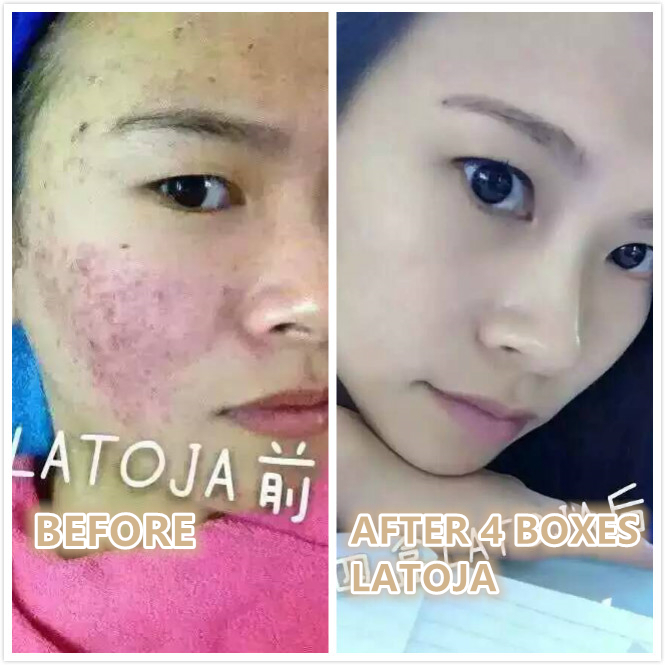 Adopting totally new composite herbal extract, this product can nourish and moisturize the skin, brighten skin color and luster the skin to enable you to enjoy pure texture and fresh complexion. After washing your face, take an appropriate amount of the serum and apply it onto the face and the neck at the same time of rubbing until it is fully absorbed. Take out one mask, make sure its pearl film surface is on the top and its silk film surface is at the bottom. 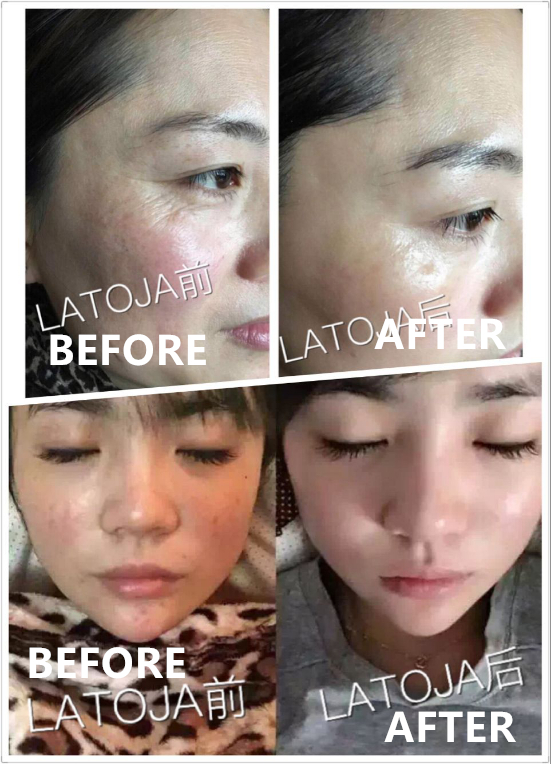 Remove the pearl film surface and apply it on the face for 10 to 20 minutes until the essence is fully absorbed by the skin. DONT Stay mask until fully dried. 1. This product is only for external use. Never eat it. Make sure to store it properly to avoid the contact of children. 2. 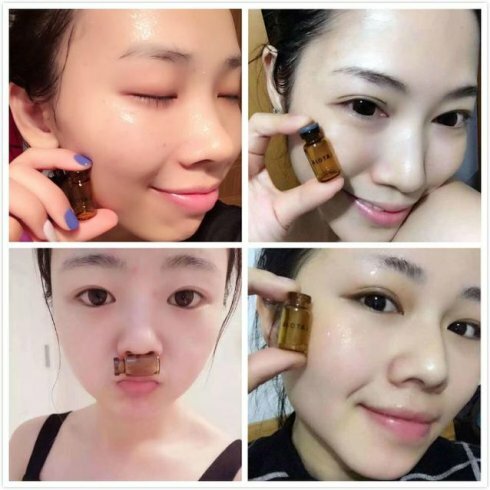 For the first use, considering different factors like environment or individual skin character, you are recommended to try it behind ear. In case of any discomfort, stop using it. 3. Please use it up as soon as possible once after it is unpacked, in order to ensure the quality of this product. Multi-lapisan komposit pelembab memungkinkan kulit menjadi lembab, lembut dan halus. Kulit adalah sebagai rentan dan halus seperti keramik dan membutuhkan perawatan khusus. Lingkungan yang merugikan, sinar ultraviolet yang berlebihan dan bahkan tekanan mental dapat mengubah status kulit. Ketika kita tumbuh tua, air dalam tubuh kita akan kehilangan secara bertahap, yang dapat menyebabkan kulit kering, kendur, keriput halus, pori-pori terlihat, minyak kulit yang serius dan kesulitan untuk penyerapan nutrisi. LATOJA Bayi Kulit Serum mengadopsi ekstrak herbal komposit benar-benar baru; selain mengandung lebih natrium bahan hyaluronate pelembab, ada juga penambahan bahan pelembab herbal. 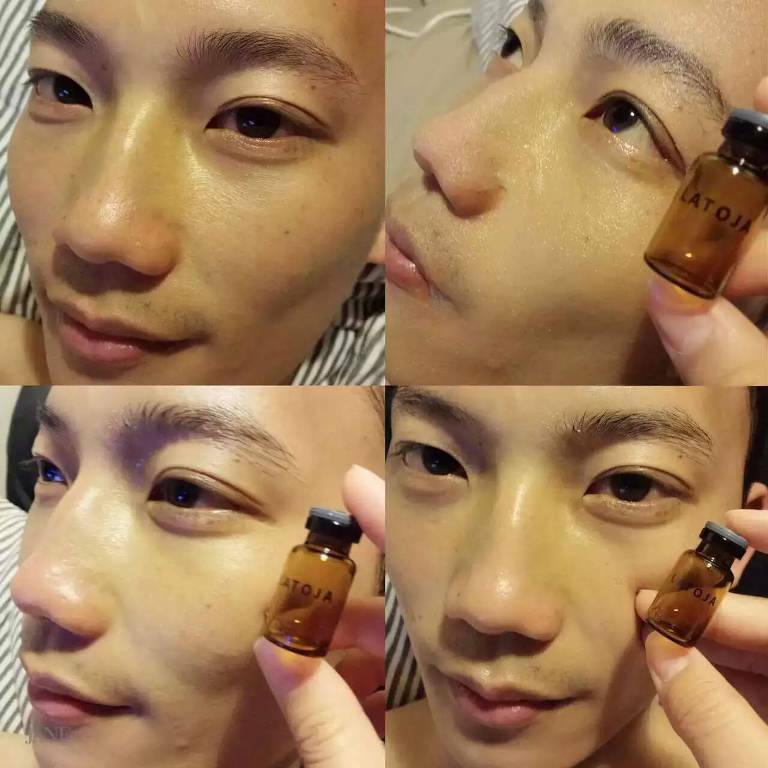 Cuci muka dulu, sapu serum di area muka dan leher. Ambil mask apply di muka 10-20 minit sehingga serum habis diserap. Jangan guna sampai mask jadi kering ya.